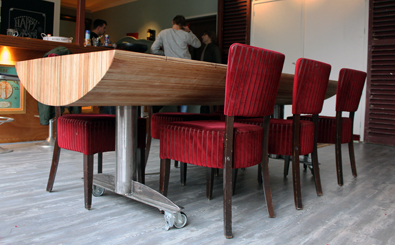 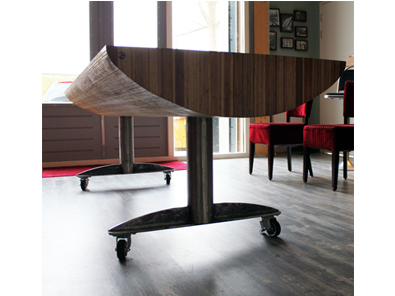 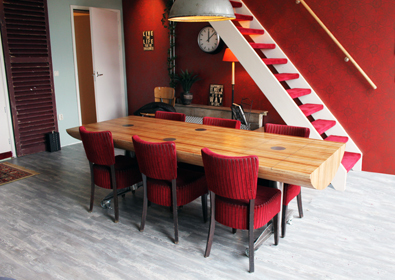 The Guitar table is a custom made table for the Sound Vision studios in Arnhem (the Netherlands) . 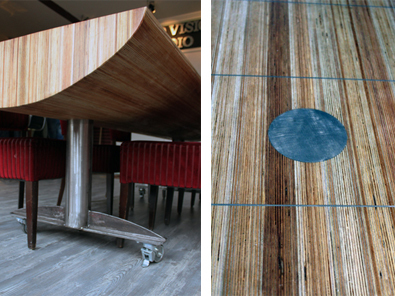 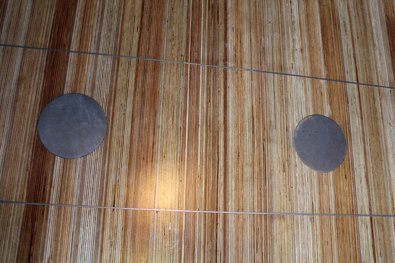 The table resembling the guitar neck magnified 14 times the original size. 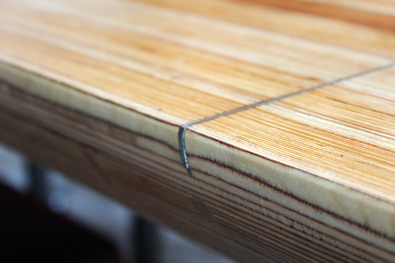 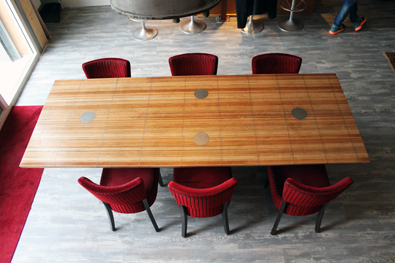 The table is made out of birch plywood based on a steel frame.